It's Thursday night, last night at home before heading to Oxford tomorrow night so I'm in place ready for the Thames Trot 50 Mile Ultra. Training has been good and I've been in taper mode since Wednesday last week. I'm itching to get going but know I need to respect the taper. My body is as ready as it is going to be at this point, so the only preparation left is in my large nogging! I've been flitting between confidence and excitement to feeling like I haven't done enough at the race is coming to soon! I've been listening to the Talk Ultra podcasts to and from my drive into work and home. This has really made me feel at ease with how I've approached this race. Well it did until I drove through Streatley on Wednesday. The point of the 27 mile check point!! Then I was back to being a bag of nerves! I've been trying to also boost myself with the knowledge of some of the races I did last year. In particular sweeping the North Downs Way 50/100 mile ultra. I got through 43 miles and 6000ft of ascent that day. On a course which is far more technical than what the Thames Trot will be. There has unfortunately been a lot of flooding along the Thames, and I received an email today informing us competitors that there will be a few course changes which will now be on country roads! Great, less scenic and an increased chance of getting lost! 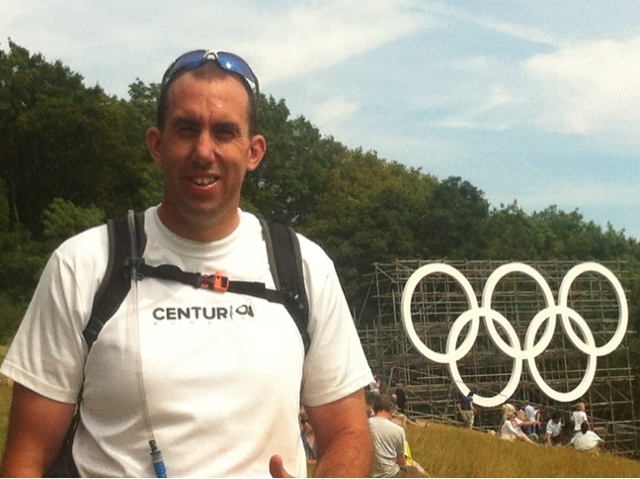 I'm running with a friend, Michael Sartorious, who I met on the North Downs Way 50/100. We were sweeping together, and hopefully will be again in August. He's a great runner who's experienced over longer distances and multi day events. A great running partner for the day. Although we will still probably get lost!! Right folks, I must finish packing my kit ready for Saturday! I'll do a race review some point after the race!